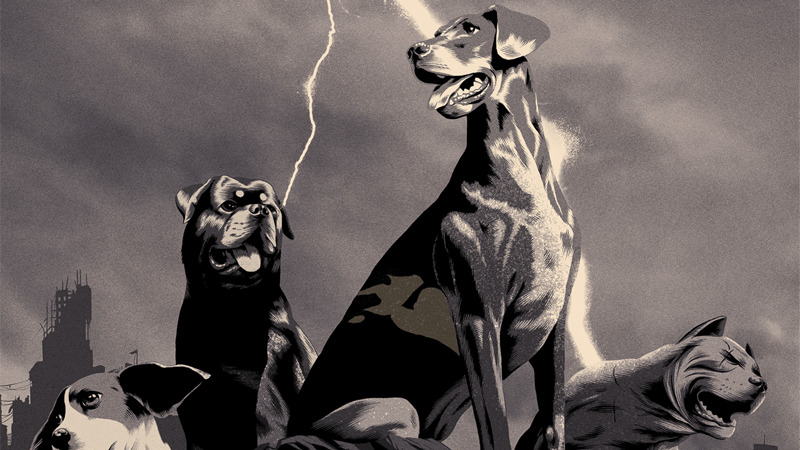 It’s been a good—and prescient—year for post-apocalyptic fiction, but one of our favorite new takes on the genre has been Z2 comics’ Legend, as it explores the weird world of an Earth where cats and dogs are the predominant survivors of a viral apocalypse. Want to learn more? Sam Sattin and Chris Koehler’s Legend is sort of like a post-apocalyptic Watership Down, except somehow even weirder than that elevator pitch sounds. To celebrate the first volume of the series, Legend: Defend the Grounds, releasing this week, we’re proud to offer the whole first issue of the series available to read here on io9, thanks to Z2 Comics. Enjoy! Edit: This article didn’t originally clarify that the final page of artwork in Legend #1 is credited to Katie Longua, not Chris Koehler. It’s been updated to include and appropriate credit, attached to the page below. Final page art by Katie Longua. Volume One of Legend is available from tomorrow, November 22nd. More Comics You Can Read on io9! Read the first chapter of The Massive, Brian Wood&apos;s new environmental apocalypse comic!